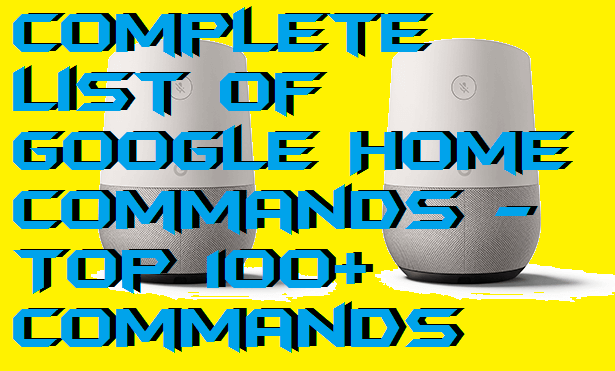 Hello friends, Today I will share a complete list of Google Home commands. You can use these commands. These commands are related to Health, Fitness, Music, News, Shopping, gaming and much more. I have shared detailed command for every broad command. You can give these commands to Google Home to get information about these followings. All these commands are working. Did you purchased Google Home for your home today and want to get the list of Google Home commands? Well, yes you will get the list of Google Home commands here. It is a good choice to buy Google Home for your home sweet home yo know, nice. In this section, I have made the list of Google Home commands which you must know if you have the Google Home device. However, you may also check the list of Google Home commands if you are not having Google Home and your relatives are having it. So, you can use it whenever you go to their home using the commands. Have a look on the list of Google Home commands which is given just below. If you want some command for health and fitness regarding then here, it is. If you need beauty tips, a virtual workout partner, medical advice, etc. then you can use these Google Home Commands. Go through the health and fitness commands now. Searching for some Google Home command related to Music and Podcats? Well, here it is. You can use these command to use Google Home regarding Music and Podcats. Listen to your fav music using Google Home command right now. Every Google Home user should know Google Home command related to News and Weather. Who know somehow we need it. So, must check it and get the weather report by Google Home using the command. We all love to shop for products online. Peoples who are having Google Home in their home can use these home commands to take help of it while shopping. If your kids love gaming on the computer, then you must check these command and tell your kids as well. So, they can use these command to take help of Google Home when they need it. Love to watch cricket, football, and other sports. Ten, you must use chk out these Google Home sports command these will help you a lot. You can even check the score of your fav team using Google Home by its command which I have listed here. Who won the [team name] game? Who plays for the [team name]? When do the [team name] play next? If you love to learn something whenever you are free. Then at that moment, you can take help of Google Home commands which is given below. Learn something new by starting from Google Home commands. What’s the definition of [word or term]? How do you spell [word]? In productivity other things like cooking, hairdressing, colouring, and other. These types of thing are carried by Productivity. These are some productivity commands of Google Home products which you can take help if you need it. So, scroll down to check the commands list. If you have to travel a lot and having Google Home in your home. The, use these Google Home commands for travelling related purpose, it will help you a lot. You can even tell to Google Home to make a ticket for you or your family. These are some other Google Home commands which you must check and are not categorised. These commands are very funny and very interesting as well which you must try. So, what are you waiting for? Try these Google Home command right now and see the interesting part of it. This is the list of Google Home commands which I have collected from various sources. These commands are divided into their categories so that it will be easy for you to identify the type of the command and where to use it. You can also bookmark this article, so if you need the commands, then you can access this article quickly. I think this article has told you all the commands regarding Google Home product as well you are using it to access Google Home. 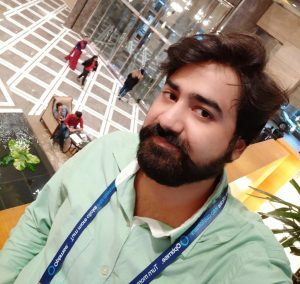 You can share this article with your colleagues who are having the Google Home product so that they can also use it as you and I are using it. Trending: LCD VS LED Monitor – What is the Difference? Which is Better?